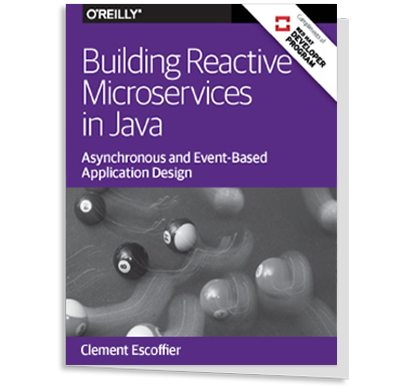 Synchronous request-response communication in microservices systems can be very complicated. Fortunately, asynchronous event-based architectures can be used to avoid this, Yaroslav Tkachenko claimed in a presentation at QCon London 2018, where he described his experiences with event architectures and how Actors can be used in systems built on this architecture. Tkachenko, senior software engineer at Demonware, started by emphasizing that you cannot make synchronous requests over the network behave like local ones. There are a lot of challenges related to network communication that can be hard to overcome, especially if you lack experience working with microservices and distributed systems. For him, an event-driven architecture is a more straightforward approach to solve the problems that may occur. At Demonware they still have a big application monolith but are slowly migrating towards independent services. Historically they have used a lot of synchronous request-response communication, but are currently working towards a more asynchronous communication and have decided to use domain events between services. A typical service at Demonware is based on domain-driven design (DDD) and the hexagonal architecture, and with Kafka as a message transport layer. Events received are transformed to commands in an event adapter before sent to the business logic core. Correspondingly, events created by the service are added to Kafka, using fire and forget or a guaranteed at least once delivery, backed by a remote or local event store. When Tkachenko started to work with the actor model, he realized that the whole system started to look like a messaging or event-driven system. For patterns in this area he recommends the Enterprise Integration Patterns book and Vaughn Vernon’s book Reactive Messaging Patterns with the Actor Model. For an implementation based on the actor model, Tkachenko referred to Bench Accounting where they transformed a large Java enterprise monolith into a series of Scala microservices and actors using Akka. Key components in this implementation were ActiveMQ to handle message queues, Apache Camel which is an integration framework and akka-camel, an official Akka library, although it’s now deprecated and replaced by Alpakka. In a typical event listener in this implementation, akka-camel gets messages from the queue, deserializes, translates and does other work needed before they are sent to the actor. A message sender is similar; the actor uses akka-camel for serialization and other work before the message is sent to the queue. The question of whether you should use actors depends on your requirements. Tkachenko notes that it’s possible to build asynchronous, non-blocking event frameworks in many languages, but actors-based frameworks are asynchronous and message-based by default, which is an advantage when you need it. Most presentations at the conference were recorded and will be available on InfoQ over the coming months. The next QCon conference, QCon.ai, will focus on AI and machine learning and is scheduled for April 9 – 11, 2018, in San Francisco. QCon London 2019 is scheduled for March 4 - 8, 2019.